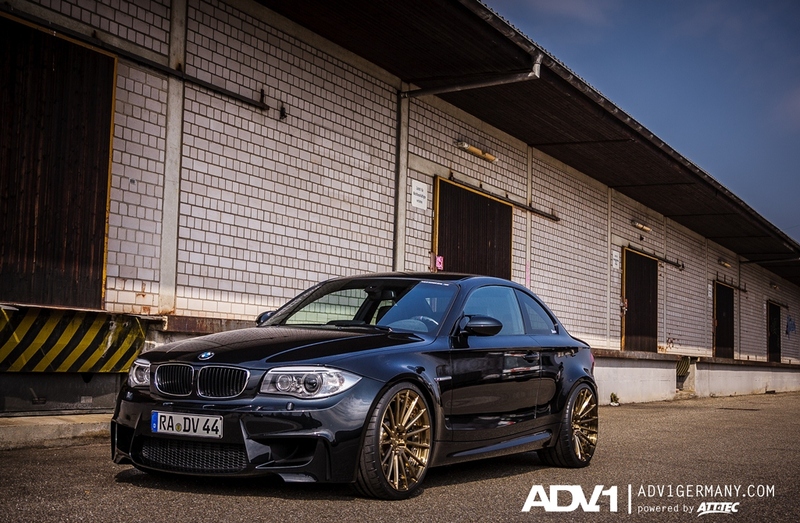 ATT-TEC in Germany have been busy modifying this gorgeous black BMW 1M. 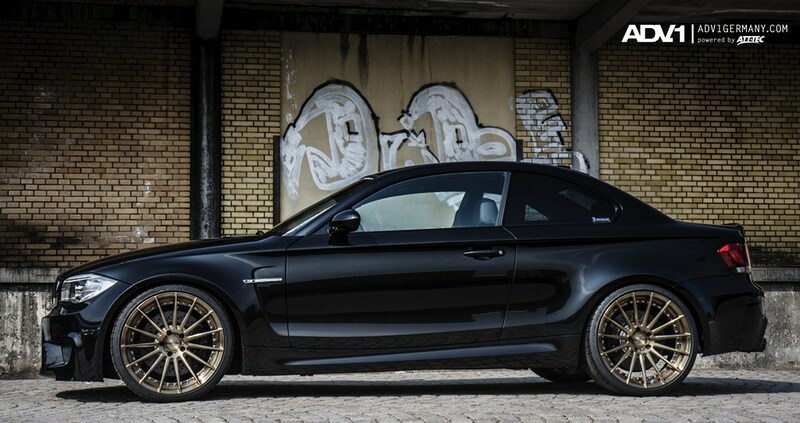 They went with a very cool brushed gold finish on the wheels in a staggered 20″ size on our new MV2 wheel line. The MV2 is a lightweight 2-piece monoblock with lots of concavity and customization. 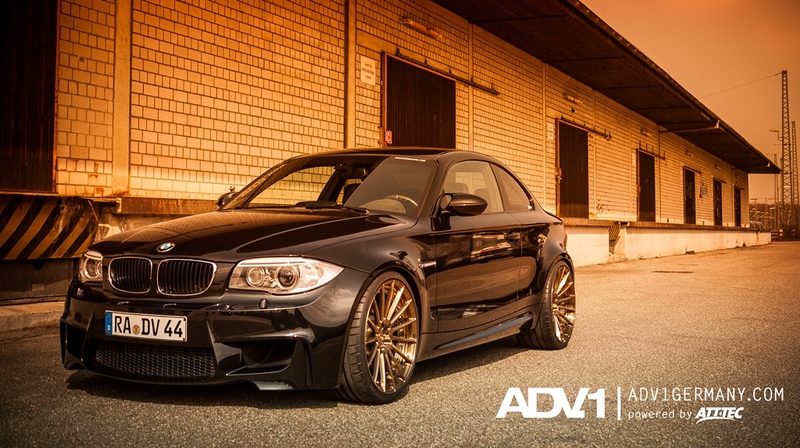 This car is featuring a ADV15 wheel design.